How to make money online in Nigeria without monetary investment? There are times as an adult you reflect about the past childhood days of yours. These were the times where Dad and Mum had to provide all that was neccessary to make you happy - atleast for the mean time. Then came the time when we began growing or more rightly put - becoming adults, we began getting the tickling that we were not being given all our wants efficiently as before. We were gradually seeing less of those comforts from our parents and simultaneously seeing more of our constant wants. Things to the size of airtime cards to our disbelief were to be sourced by us. We were becoming adults! And with it came the question: How can one make money without investing money? Some of us weren't that fortunate to be in the comforts of money-friendly parents - Our tales can best be told by us. This involves providing services to businesses and clients online. As a freelancer, you can work full time or part time at home. Also, you can set the terms of your contract and will be able to work multiple jobs at the same time. Freelance services that you can offer include web design, web development, graphic design, search engine optimization, social media marketing, article writing, copywriting, guest posting, data entry works, email marketing, etc. If you have any of these skills, you can join the freelance marketplace and apply for jobs. If you have good writing skills and know how to present ideas and capable of making content on unique topics then you can make money online. Freelance writers are paid on several basis such as the number of characters or words they write. You can sign up on any of the above-mentioned freelance marketplaces and find projects and writing categories to apply for. Blogging, when done properly, can make you thousands if not hundreds of thousands of money in 30 days. You need to have your own website and share useful and interesting topics there. Before creating your blog, you need to get a popular topic or subject that will bring a lot of visitors to your website. Your long-suffering would be tested in this shere of online investment, so be preared for several conditions. All you need to do is to keep writing regularly and sharing your website and contents on social media platforms. The money comes when one generate enough traffic then locate a good monetization strategy. This involves promoting other companies’ products and getting a commission when someone buys the product. 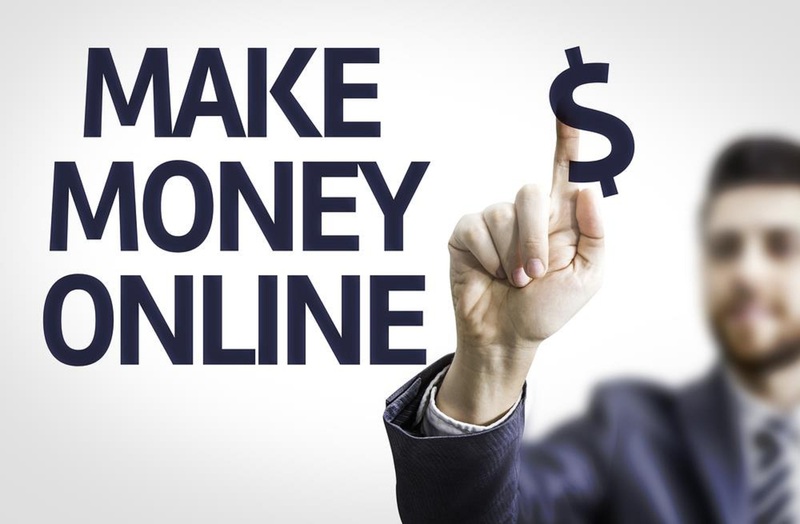 This may be termed one of the easiest ways to earn money online. The more product you can sell, the more money you will make. To make money you need to join the affiliate network and find a product you can market online. You will be given a link with your Id which you will promote online. When people click and buy the product through your link, you get a percentage of commission. When i first heard that one can earn money painfully capturing unique moments and thereafter with huge data subscription standby, upload these files, i felt like 'This God is so wonderful'. But it's not a myth, you can earn money from YouTube - the most used video streaming platform. This is a community where people watch videos and learn a lot of things for a lot of purposes. To make money from YouTube, all you need to do is to make an interesting video that can generate a lot of views. Create your channel and start uploading your videos. Enable your channel for monetization through Google AdSense and begin to make money. In all these ways listed about how to make money lies failures and successes. Consistency,skill and long suffering is king to legitimate money making online. Much wouldn't have been perfected without multiple failures. See you at the Top! Re: How to make money online in Nigeria without monetary investment?